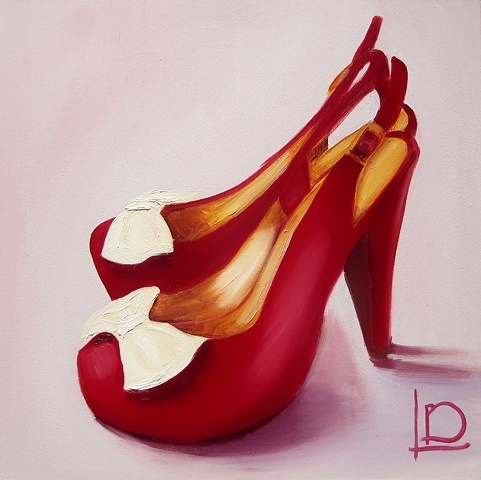 Maraschino Cherry Bows are a vintage style pair of shoes, in a delicious deep cherry pink. The background is a lilac colour, and the insides of the shoes look like gold. These remind me of Marilyn Monroe- I guess I imagine these would have looked great on her. I haven't cut a quarter inch off one of the heels to give me a 'wiggle' though!